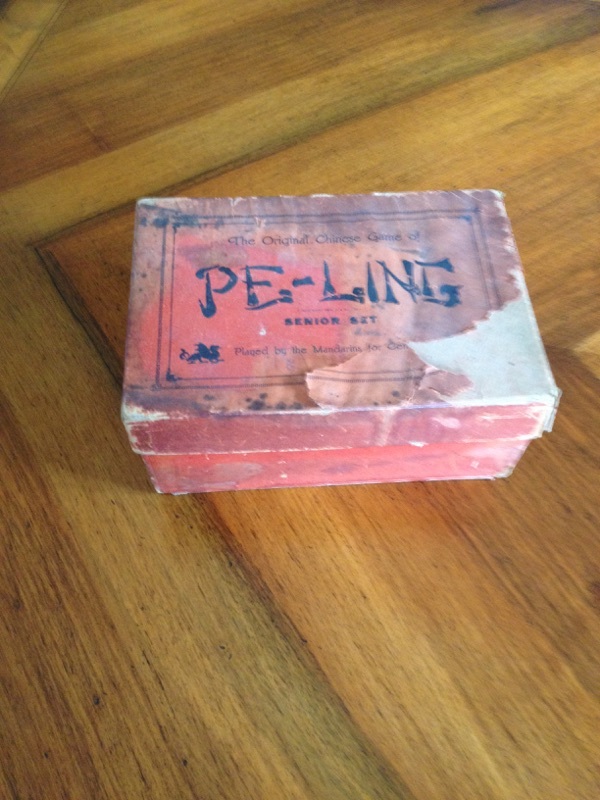 Pe-Ling made at least 2 sets, one of them had very thin tiles made of compressed carton, so I think that might have been their Junior set, but there is no indication on the label. Tony – thanks for clearing up that “senior set” stuff!!! I saw that set on eBay – yikes! 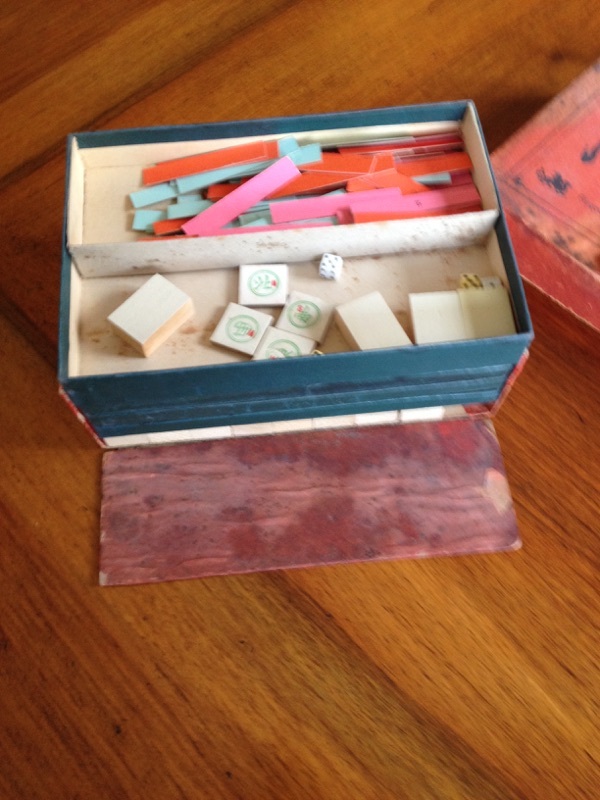 The junior set came in a carton box 16inchesX41/2 inchesX11/2 inches There are 144 cardboard tiles, two tiny dice and a full compliment of paper sticks. 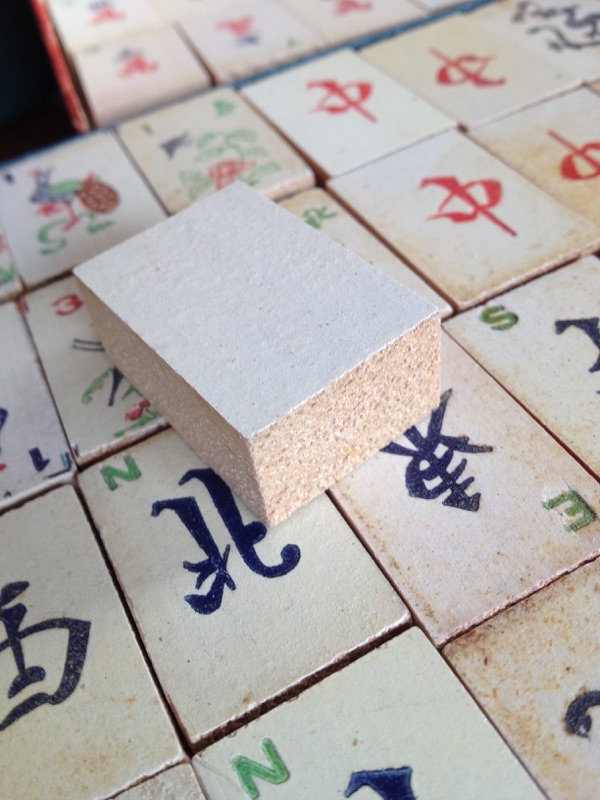 Also the box includes four wood racks and sixteen blank tiles. 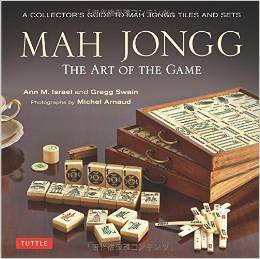 The rulebook gives the instructions which are identical to the rules of mahjongg in the twenties. 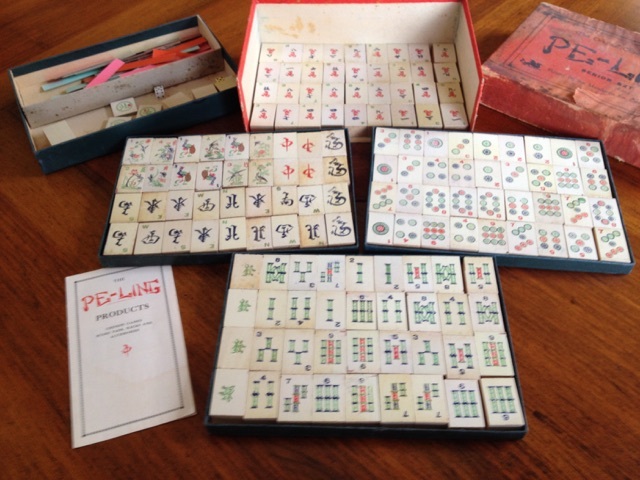 The entire set looks like a copy of the Mahjongg Sales Co Midget set which was their bottom line set. Hi Allan – thank you so much! This is terrific information. I wonder if M.S. 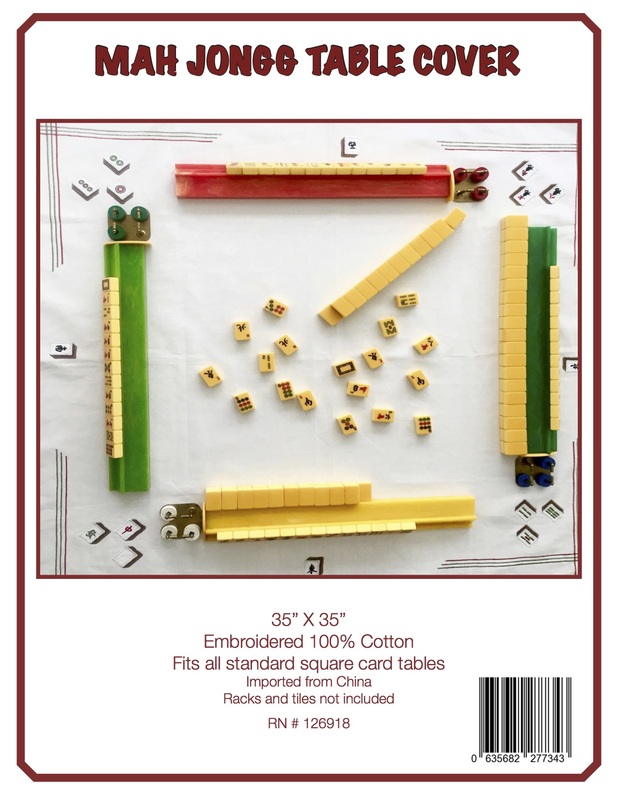 Cowen & Company is any relation to the Cowan manufacturer, the company that produced such magnificent Mah Jongg sets. In any event, much thanks for this email.